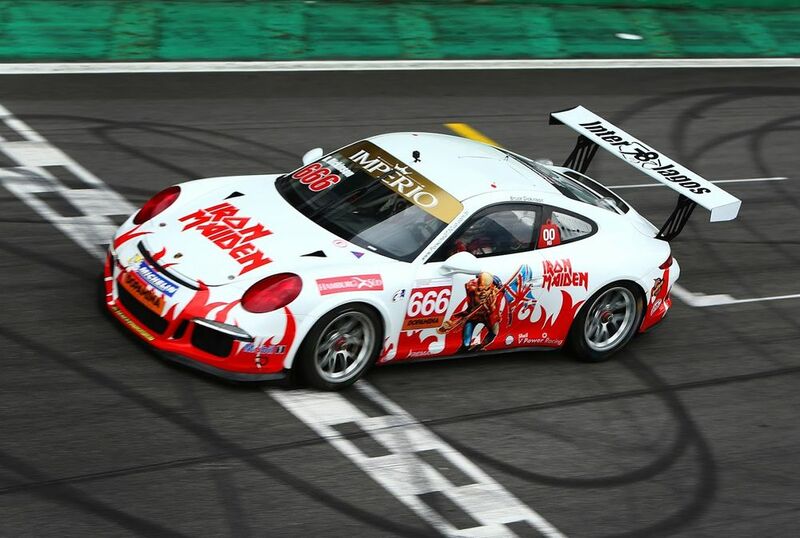 As if being lead singer of one of the greatest bands ever and a fully qualified airline pilot wasn’t exciting enough, Bruce Dickinson tried his hand at driving a race car at the weekend. 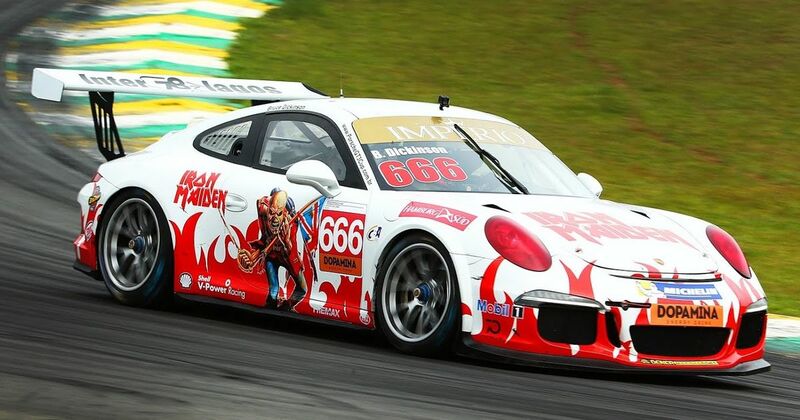 In Brazil as part of a publicity tour for his autobiography, Bruce stopped by Interlagos where he was surprised with a Porsche 911 GT3 Cup decked out in a full-on Iron Maiden livery, complete with mascot Eddie on the doors and adorned with The Number of the Beast. He probably will have wished he could have Run To The Hills after that spin, but he carried on like The Trooper he is and spent more than half an hour lapping the circuit. He didn’t take part in any races - that would have been playing with madness - but the car did. 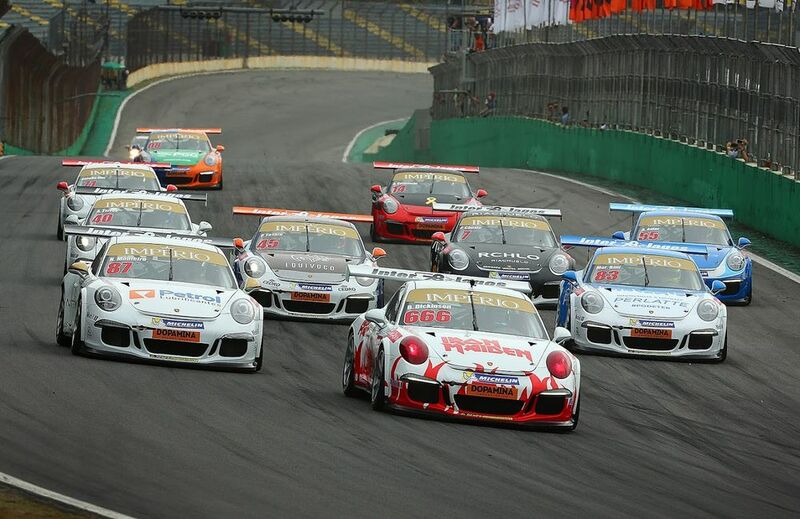 It was actually the series’ backup car and had to be used by driver Chico Horta in a race. He started on pole and finished fifth in the first race of the weekend, all whilst running one of the coolest liveries ever.